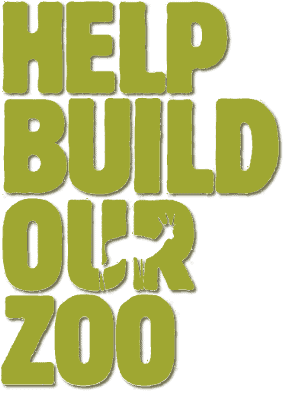 The Valley Zoo Development Society (VZDS) is a registered charity and friend of the Edmonton Valley Zoo (EVZ). The VZDS is proud to take a lead role in the EVZ’s stunning transformation into special place that inspire love and learning of the natural world. The EVZ has begun it’s transformation from a 5-acre petting zoo into a 21st century centre of learning, research and conservation. The next phase of the Zoo’s revitalization – named “Nature’s Wild Backyard” – will embrace interactive play and discovery, immersing visitors in a unique environment which will allow them to experience the world in the same manner as the animals that inhabit it: Under, Between, On & Above. Children are fascinated by the natural world, especially by animals. By providing them with a fun setting where they can learn about animals & nature, we can create life-long ambassadors for the long-term health of our planet.